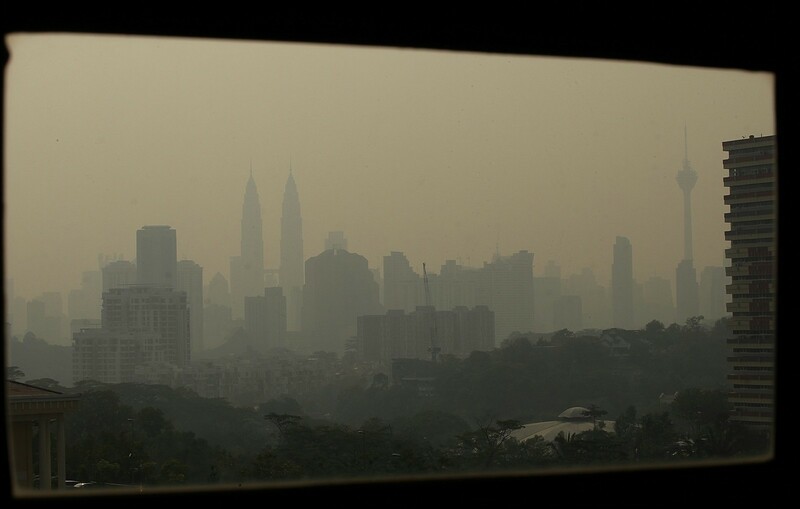 KUALA LUMPUR: Port Klang recorded a very unhealthy Air Pollutant Index (API) reading on Thursday, according to the Department of Environment (DOE). As of 1pm, the API registered 203. 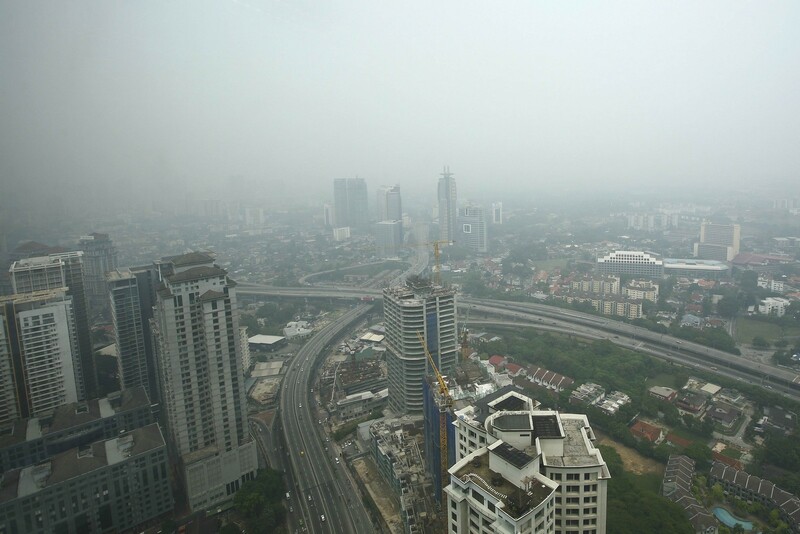 The eight areas with unhealthy air quality were Bukit Rambai with API reading of 113, Banting and Kuala Selangor (162), Petaling Jaya (135), Shah Alam (132), Batu Muda (135), Cheras (123) and Putrajaya (145). 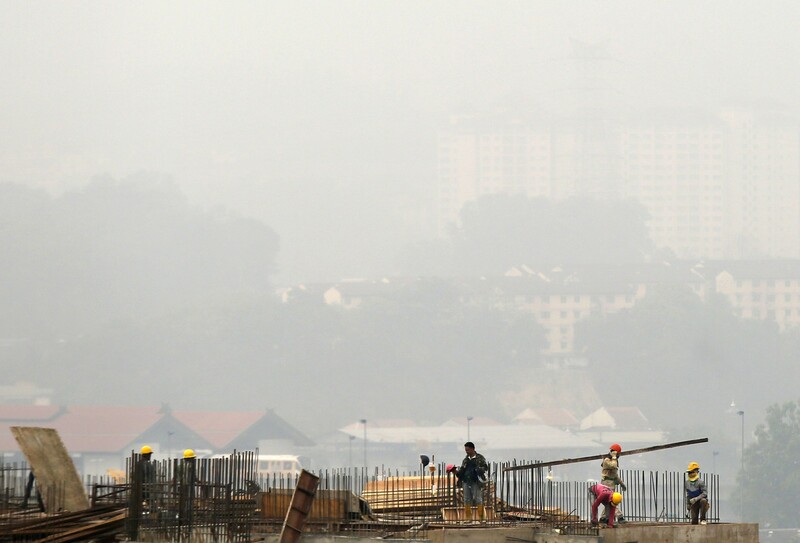 The API reading in several districts in Negri Sembilan also deteriorated to unhealthy levels due to a combination of factors including the prolonged dry spell and fires. 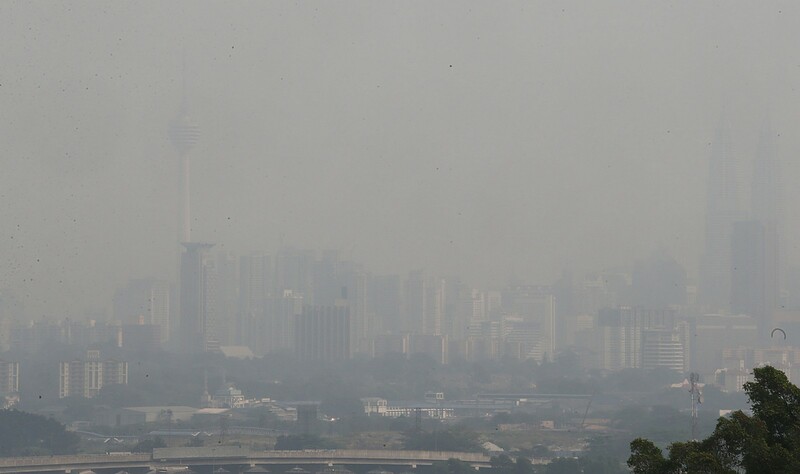 As of 2pm, Nilai registered the highest API reading of 165 followed by Seremban, 131 and Port Dickson at 118. 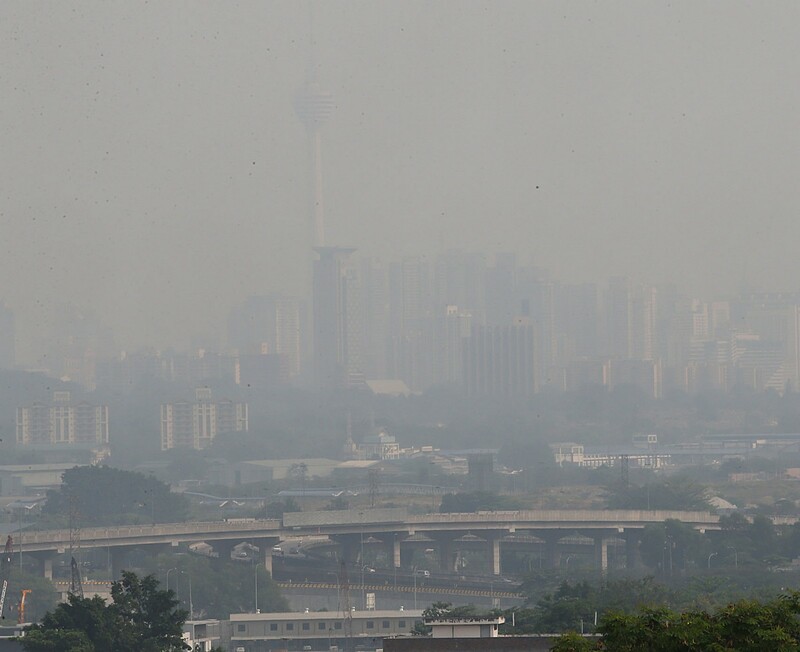 The air quality in two other areas also reached the unhealthy level, namely Bandaraya Melaka (99) and Sri Aman (96). API readings of between 0-50 are considered good, moderate (51-100), unhealthy (101-200), very unhealthy (201-300) and dangerous (exceeding 301). 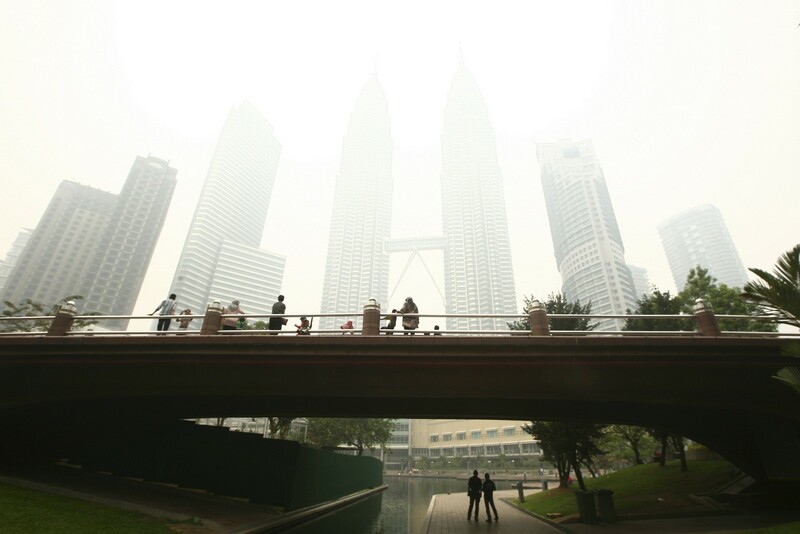 Kuala Lumpur's city centre is seen covered by haze on March 3, 2014. Haze were seen from Court in Jalan Duta. 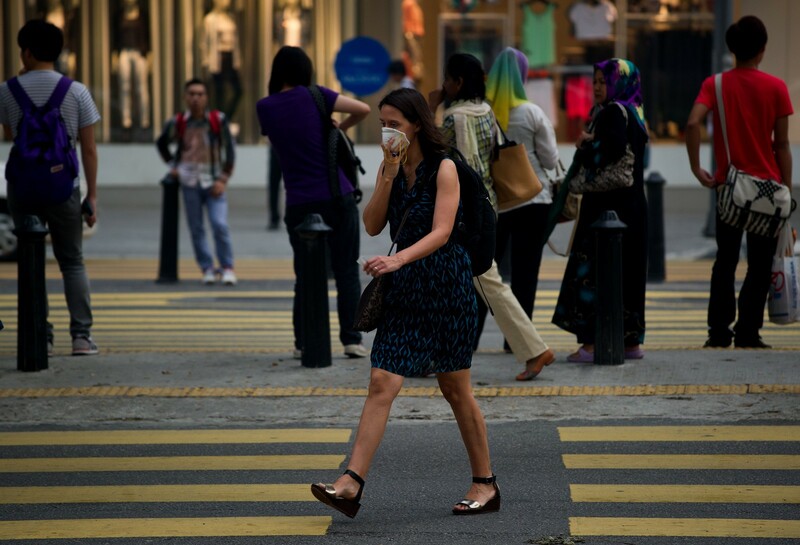 The air pollution index rose as high as 150 on Tuesday in seven areas. A reading of 100 to 200 means air quality is "unhealthy". 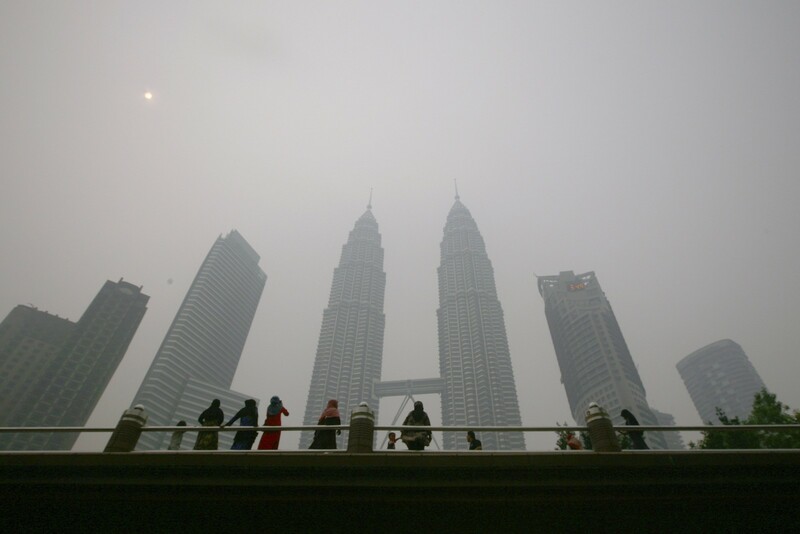 Visibility was lower than one kilometre in central Malaysia early Tuesday. 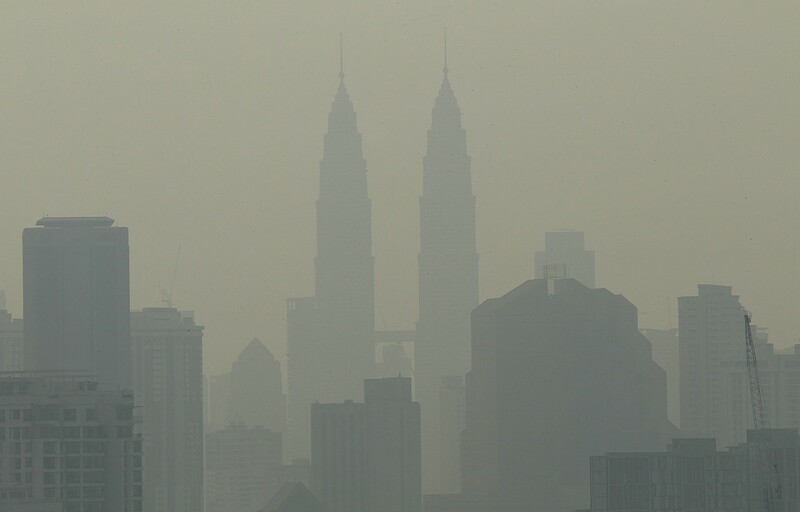 The iconic Petronas Twin Towers were shrouded in smog that forced city residents to wear face masks. "The moderate haze the country is experiencing is due to internal sources resulting from land and forest fires in a few states," the department of environment said in a statement. Haze in the past has originated in neighbouring Indonesia. 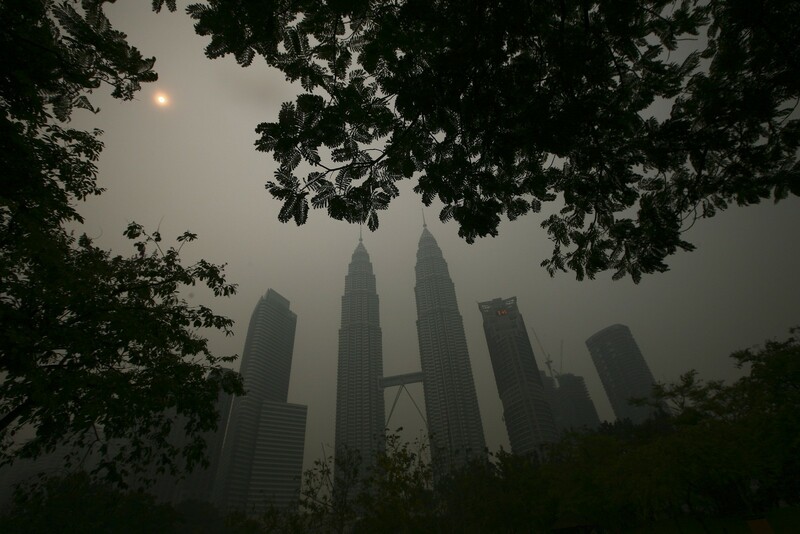 Last year Malaysia and neighbouring Singapore choked on the worst haze in more than a decade caused by fires in Indonesia. 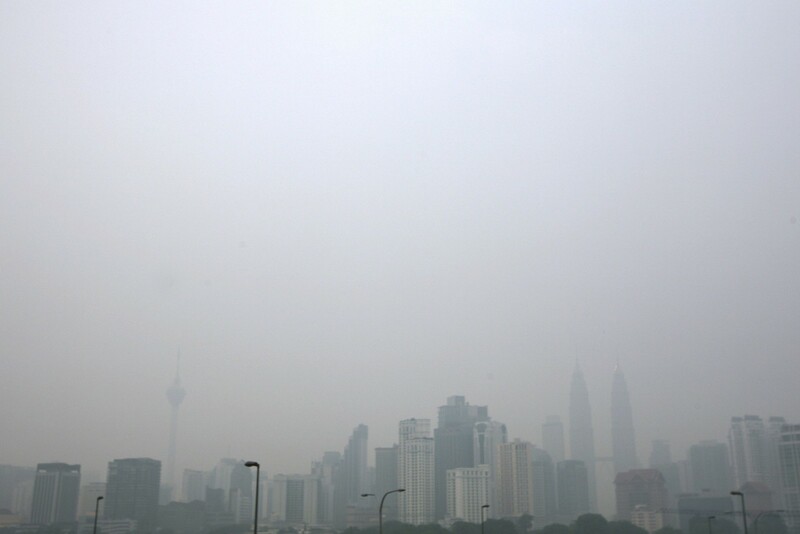 Haze shrouded Malaysia's capital and its surroundings on Tuesday. 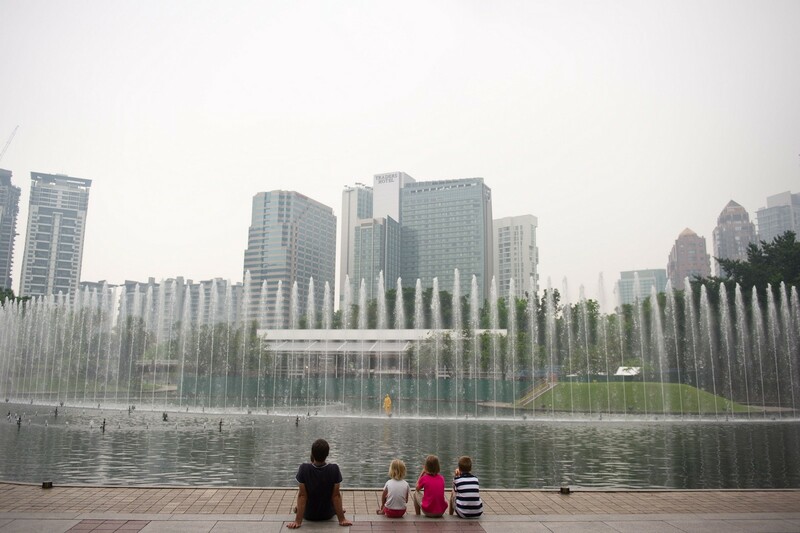 Tourists sit as haze start to shrouds commercial buildings in Kuala Lumpur. 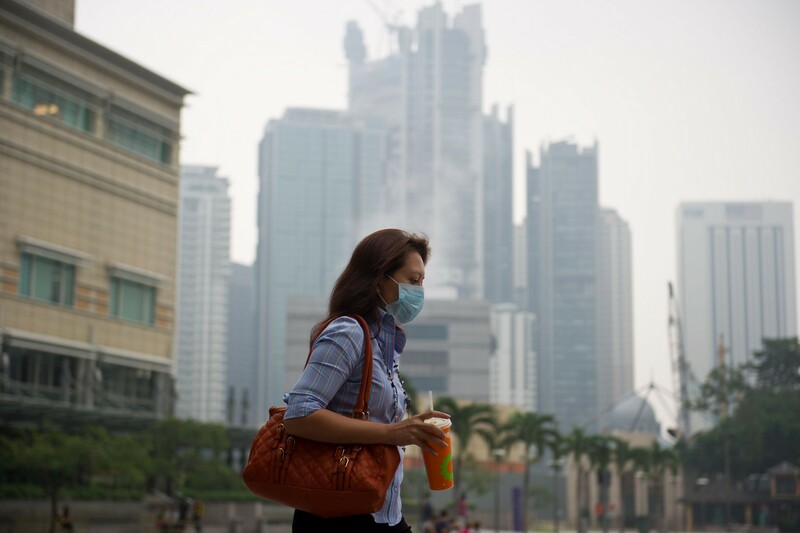 A woman wears a face mask as haze start to shrouds Kuala Lumpur. A worker cleans a pool as Malaysia's landmark Petronas Twin Towers start to shrouds by haze.